To find other places to visit, where to stay, reviews, and more tourist information, you can read our New York City online visit planner . Birmingham, UK to New York City is an approximately 10.5-hour combination of flight and bus. You can also do a combination of train, flight, and bus; or do a combination of train and flight. Traveling from Birmingham to New York City, you'll gain 5 hours due to the time zone difference. In March, daytime highs in New York City are 11°C, while nighttime lows are 1°C. You'll set off for Philadelphia on the 6th (Sun). On the 7th (Mon), get engrossed in the history at Eastern State Penitentiary and then ponder the world of politics at Independence Hall. To find photos, where to stay, maps, and tourist information, refer to the Philadelphia journey app . Traveling by train from New York City to Philadelphia takes 2 hours. Alternatively, you can drive; or take a bus. In March in Philadelphia, expect temperatures between 11°C during the day and 0°C at night. On the 7th (Mon), wrap the sightseeing up by early afternoon so you can travel to Key West. Do some cultural sightseeing at Truman Little White House and Fort Zachary Taylor. Get outdoors at Fishing Charters & Tours and Stand-Up Paddleboarding. Spend the 9th (Wed) exploring nature at Dry Tortugas National Park. 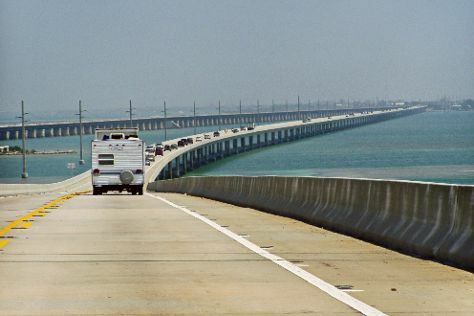 Next up on the itinerary: explore and take pictures at The Overseas Highway, go for a walk through Key West Garden Club, and stroll the grounds of Key West Cemetery. For more things to do, photos, maps, and tourist information, read our Key West online trip itinerary builder . You can fly from Philadelphia to Key West in 5 hours. Alternatively, you can do a combination of train and flight; or drive. Prepare for warmer weather when traveling from Philadelphia in March: high temperatures in Key West hover around 30°C and lows are around 24°C. Finish your sightseeing early on the 10th (Thu) to allow enough time to travel to Hollywood. On the 11th (Fri), see the interesting displays at Vizcaya Museum and Gardens, then appreciate the extensive heritage of Art Deco Historic District, and then make a trip to Collins Avenue. Get ready for a full day of sightseeing on the 12th (Sat): enjoy the sand and surf at Fort Lauderdale Beach and then tour the pleasant surroundings at Hollywood Beach. To find where to stay, other places to visit, ratings, and more tourist information, use the Hollywood trip planner. Traveling by flight from Key West to Hollywood takes 3.5 hours. Alternatively, you can do a combination of flight and train; or drive. March in Hollywood sees daily highs of 31°C and lows of 21°C at night. Finish your sightseeing early on the 12th (Sat) so you can travel to Gulf Shores. Gulf Shores is a resort city in Baldwin County, Alabama, United States. On the 13th (Sun), stroll through Gulf State Park and then play a few rounds at Gulf Shores Golf Club. On the 14th (Mon), you'll have a packed day of sightseeing: steep yourself in history at Fort Morgan State Historic Site, see majestic marine mammals with a dolphin and whale watching tour, and then kick back and relax at Alabama Point East. For photos, reviews, more things to do, and other tourist information, read Gulf Shores online trip maker . Do a combination of bus, flight, and taxi from Hollywood to Gulf Shores in 4.5 hours. Alternatively, you can do a combination of flight and car; or drive. Traveling from Hollywood to Gulf Shores, you'll gain 1 hour due to the time zone difference. Expect slightly colder temperatures when traveling from Hollywood in March; daily highs in Gulf Shores reach 24°C and lows reach 12°C. Finish your sightseeing early on the 14th (Mon) so you can drive to New Orleans. Start off your visit on the 15th (Tue): contemplate in the serene atmosphere at St. Louis Cathedral, then take a stroll through Royal Street, then examine the collection at Blaine Kern's Mardi Gras World, and finally appreciate the extensive heritage of Garden District. Keep things going the next day: explore the different monuments and memorials at Lafayette Cemetery No.1, then steep yourself in history at Evergreen Plantation, then contemplate the long history of Laura Plantation: Louisiana's Creole Heritage Site, and finally admire the landmark architecture of St. Joseph Church and Gardens. To find traveler tips, ratings, reviews, and other tourist information, you can read our New Orleans online holiday maker . You can drive from Gulf Shores to New Orleans in 3.5 hours. Alternatively, you can do a combination of taxi and bus. Traveling from Gulf Shores in March, you will find days in New Orleans are little chillier (19°C), and nights are somewhat warmer (19°C). Cap off your sightseeing on the 16th (Wed) early enough to travel to San Antonio. On the 17th (Thu), explore the fascinating underground world of Natural Bridge Caverns, then contemplate the long history of Mission San Jose, and then pause for some serene contemplation at San Fernando De Bexar Cathedral. Planning San Antonio trip won't be overwheling when you use's Insprock itinerary maker. You can fly from New Orleans to San Antonio in 4.5 hours. Other options are to do a combination of flight and bus; or drive. Traveling from New Orleans in March, expect nights in San Antonio to be a bit cooler, around 14°C, while days are a bit warmer, around 28°C. Finish your sightseeing early on the 17th (Thu) so you can travel to Sedona. Get some historical perspective at Walnut Canyon National Monument and Montezuma Castle National Monument. Get outdoors at Oak Creek Canyon and Devil's Bridge Trail. There's lots more to do: take in the dramatic natural features at Cathedral Rock, cruise along Red Rock Scenic Byway (SR 179), and relax and rejuvenate at some of the top local wellness centers. To find traveler tips, ratings, reviews, and more tourist information, read our Sedona day trip app . Do a combination of flight and bus from San Antonio to Sedona in 8 hours. Alternatively, you can do a combination of flight and taxi; or drive. The time zone difference moving from Central Standard Time (CST) to Mountain Standard Time (MST) is minus 1 hour. In March, Sedona is little chillier than San Antonio - with highs of 22°C and lows of 8°C. Cap off your sightseeing on the 20th (Sun) early enough to travel to Los Angeles. For traveler tips, maps, reviews, and other tourist information, you can read our Los Angeles trip planner . You can fly from Sedona to Los Angeles in 4.5 hours. Alternatively, you can do a combination of shuttle and flight; or drive. Due to the time zone difference, you'll gain 1 hour traveling from Sedona to Los Angeles. 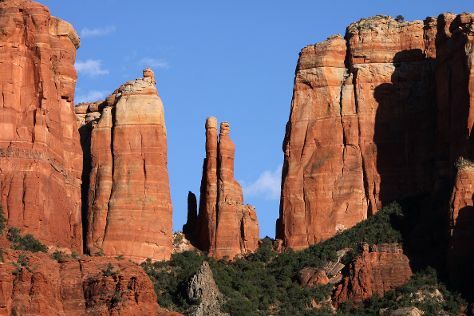 Traveling from Sedona in March, things will get a bit warmer in Los Angeles: highs are around 27°C and lows about 14°C. You'll set off for San Francisco on the 21st (Mon). On the 22nd (Tue), enjoy the sand and surf at Cowell Ranch State Beach and then kick back and relax at Pomponio State Beach. 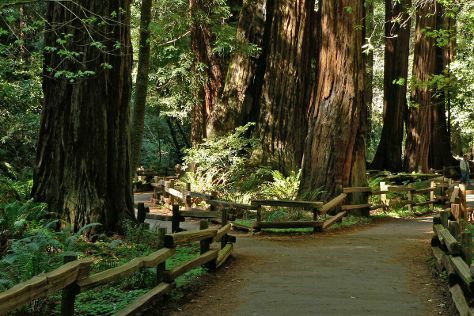 Get ready for a full day of sightseeing on the 23rd (Wed): identify plant and animal life at Fitzgerald J V Marine Reserve and then explore the striking landscape of Muir Woods National Monument. To see photos, traveler tips, where to stay, and tourist information, you can read our San Francisco online holiday planner . You can fly from Los Angeles to San Francisco in 4 hours. Alternatively, you can do a combination of flight and train; or drive. While traveling from Los Angeles, expect slightly colder days and about the same nights in San Francisco, ranging from highs of 21°C to lows of 11°C. Wrap up your sightseeing on the 23rd (Wed) to allow time to travel to Las Vegas. Kick off your visit on the 24th (Thu): try your luck at Wynn Las Vegas, take an unforgettable tour with a helicopter tour, then see the interesting displays at The Neon Museum, and finally see the interesting displays at The Mob Museum. On the next day, admire nature's extreme beauty at Escape Adventures and Las Vegas Cyclery. For other places to visit, ratings, and other tourist information, read our Las Vegas trip maker app . Traveling by flight from San Francisco to Las Vegas takes 4 hours. Alternatively, you can drive. When traveling from San Francisco in March, plan for a bit warmer days and about the same nights in Las Vegas: temperatures range from 27°C by day to 13°C at night. Cap off your sightseeing on the 25th (Fri) early enough to go by car to Zion National Park. Kick off your visit on the 26th (Sat): take a memorable drive along Zion Canyon Scenic Drive, then stroll through Angel's Landing, and then explore and take pictures at Zion Shuttle. Get ready for a full day of sightseeing on the 27th (Sun): explore the wealth of natural beauty at Zion National Park. For more things to do, reviews, and other tourist information, use the Zion National Park trip builder site . Traveling by car from Las Vegas to Zion National Park takes 3 hours. Alternatively, you can do a combination of flight and taxi; or do a combination of flight and car. The time zone difference when traveling from Las Vegas to Zion National Park is 1 hour. When traveling from Las Vegas in March, plan for little chillier days and colder nights in Zion National Park: temperatures range from 20°C by day to -1°C at night. Finish up your sightseeing early on the 27th (Sun) so you can travel to Page. 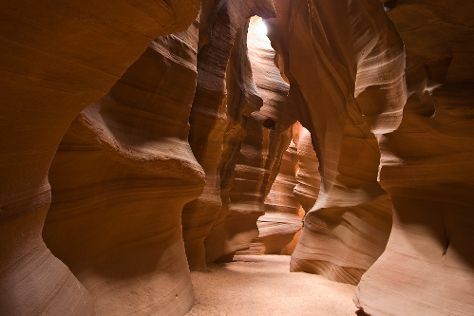 On the 28th (Mon), explore the striking landscape at Paria Canyon Wilderness Area, then head outdoors with Wahweap Overlook, and then explore the stunning scenery at Antelope Canyon. Get ready for a full day of sightseeing on the 29th (Tue): capture your vacation like a pro with an inspiring photography tour. For ratings, traveler tips, other places to visit, and tourist information, refer to the Page tour itinerary builder app . You can do a combination of car and shuttle from Zion National Park to Page in 3 hours. Alternatively, you can drive. Expect somewhat warmer evenings in Page when traveling from Zion National Park in March, with lows around 6°C. Finish up your sightseeing early on the 29th (Tue) so you can go by car to Moab. Get in touch with nature at Dead Horse Point State Park and Adrenaline & Extreme Tours. You'll discover tucked-away gems like River Rafting & Tubing and Lions Park. And it doesn't end there: hike along Hidden Valley Trail, grab your bike and head to Double Down Bike Shop, and explore the striking landscape at Courthouse Towers. To see traveler tips, where to stay, ratings, and other tourist information, you can read our Moab trip planner . Getting from Page to Moab by car takes about 5 hours. Other options: do a combination of shuttle, bus, and car. Traveling from Page in March, plan for a bit cooler nights in Moab, with lows around 0°C. Finish your sightseeing early on the 1st (Fri) so you can travel to Kansas City. Start off your visit on the 2nd (Sat): explore the world behind art at The Nelson-Atkins Museum of Art, take an in-depth tour of National WWI Museum and Memorial, and then test your team's savvy at popular escape rooms. Get ready for a full day of sightseeing on the 3rd (Sun): take in the history at Court House, take in the history at Battle of Lexington State Historic Site, and then steep yourself in history at Union Station. To find more things to do, photos, maps, and other tourist information, read our Kansas City trip itinerary maker tool . You can fly from Moab to Kansas City in 8 hours. Other options are to do a combination of car and flight; or drive. The time zone difference moving from Mountain Standard Time to Central Standard Time is 1 hour. Traveling from Moab in April, Kansas City is somewhat warmer at night with lows of 9°C. Cap off your sightseeing on the 3rd (Sun) early enough to travel to Nashville. On the 4th (Mon), steep yourself in history at Andrew Jackson's Hermitage, then examine the collection at RCA Studio B, and then wander the streets of Downtown Nashville. On the 5th (Tue), you'll have a packed day of sightseeing: get engrossed in the history at The Johnny Cash Museum & Cafe, then contemplate the long history of Belle Meade Plantation, then steep yourself in history at Lotz House Museum, and finally get to know the fascinating history of Downtown Franklin. For where to stay, photos, maps, and tourist information, use the Nashville driving holiday planner . Traveling by flight from Kansas City to Nashville takes 5 hours. Alternatively, you can drive; or take a bus. When traveling from Kansas City in April, plan for somewhat warmer days in Nashville, with highs around 26°C, while nights are about the same with lows around 11°C. Finish your sightseeing early on the 5th (Tue) so you can travel to Cleveland. On the 6th (Wed), take in the architecture and atmosphere at St. Paul Greek Orthodox Church, tour the pleasant surroundings at Girdled Road Reservation, then step into the grandiose world of Squire's Castle, and finally take in the spiritual surroundings of Our Lady of Lourdes Shrine. Keep things going the next day: examine the collection at Rock & Roll Hall of Fame, then admire the masterpieces at The Cleveland Museum of Art, and then do a tasting at Matus Winery. To see where to stay, photos, ratings, and other tourist information, use the Cleveland route maker website . Fly from Nashville to Cleveland in 3.5 hours. Alternatively, you can drive; or take a bus. The time zone difference moving from Central Standard Time (CST) to Eastern Standard Time (EST) is 1 hour. In April, Cleveland is a bit cooler than Nashville - with highs of 16°C and lows of 5°C. Wrap up your sightseeing on the 7th (Thu) early enough to drive to Pittsburgh. Kick off your visit on the 8th (Fri): wander the streets of The Strip District, then take in nature's colorful creations at Phipps Conservatory and Botanical Gardens, and then take your sightseeing to a higher altitude at Mount Washington. To see ratings, traveler tips, and more tourist information, refer to the Pittsburgh trip builder site . You can drive from Cleveland to Pittsburgh in 2.5 hours. Alternatively, you can take a train; or take a bus. When traveling from Cleveland in April, plan for a bit warmer days and about the same nights in Pittsburgh: temperatures range from 20°C by day to 7°C at night. Wrap up your sightseeing on the 8th (Fri) early enough to travel back home.